Award-winning American composer and arranger Stanley Silverman has enjoyed a rich and varied career for over forty years in both the classical and popular music worlds, as well as in theater and film. He has worked both on and off-Broadway, with playwrights Richard Foreman, Arthur Miller, and Anthony Burgess, and with directors Mike Nichols, Arthur Penn, Michael Langham, and Dan Sullivan. Silverman’s Broadway credits include The Alchemist (1966), Galileo (1967), Stages (1978), Bent (1979), The Little Foxes (1981), Othello (1982), Timon of Athens (1993), The Government Inspector (1994), Uncle Vanya (1995), Ah, Wilderness! (1998), and Paul Simon’s musical The Capeman (1998), his orchestrations and choral arrangements for which were nominated for a Tony Award®. He was also the conductor of the 1976 Joe Papp/Lincoln Center production of The Threepenny Opera starring Raul Julia and directed by Richard Foreman, earning nominations for both Tony and Grammy Awards, and director of the critically acclaimed Music Theatre Group/ Lenox Arts Center production of Virgil Thomson’s The Mother of Us All in 1983. 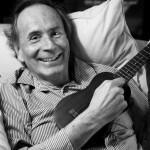 Off-Broadway Silverman has provided music for Ten Nights in a Barroom (1962), Dr. Selavy’s Magic Theatre (1972), Julius Caesar (1979), Coriolanus (1979), Up from Paradise (1983), The Golem (1984), Black Sea Follies (1986), and The Merry Wives of Windsor (1994). His film scores have included Nanook of the North (1975), Simon (1979), Eyewitness (1981) and I’m Dancing As Fast As I Can (1982). Silverman’s classical compositions have been performed by Pierre Boulez and the New York Philharmonic, the Chamber Music Society of Lincoln Center, Michael Tilson Thomas, The Kalichstein-Laredo-Robinson Trio, and Richard Stolzman. In the world of pop music, he has collaborated with artists and musicians of the first rank, including Paul Simon, Sting, Elton John, and the British rock band Procol Harum. He made the arrangements for James Taylor’s album Hourglass, which won the Grammy Award as the Best Pop Album of 1998. Twice commissioned by the Chamber Music Society of Lincoln Center, and a receiver of two Guggenheim Fellowships, Stanley Silverman has also been awarded several grants from the National Endowment for the Arts, the Rockefeller Foundation, and the Ford Foundation. A winner of Obie, Drama Desk, Naumburg, and Koussevitsky Foundation Awards, he was honored in 2004 by the Lincoln Center Institute for the Arts in Education, a body he had served as a founding board member for over three decades. Silverman’s compositions have been featured at festivals worldwide: the Autumn Festivals of Paris and Madrid, the Stratford Festival of Canada, the RSC, the Royal Exchange, Shakespeare’s Globe Theatre in London, and the Delphi Festival of Greece. 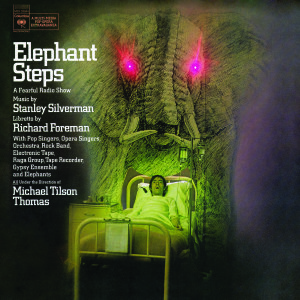 Elephant Steps, the over-the-top operatic collaboration between director Richard Foreman and composer Stanley Silverman, was an outstanding feature of the Tanglewood Festival in Massachusetts in 1968.